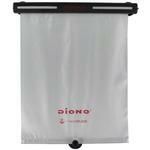 Dionos New Starry Night Sun Shade helps block sun and glare for great year-round protection. Its unique, lightweight perforated PVC fabric has a cool star design that glows in the dark long after the sun has set. 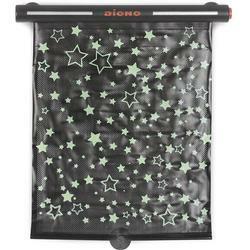 The Starry Night Sun Shade also rewinds with the touch of a button so its up and out of the way in a flash. 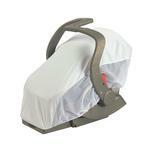 Attaches securely to any window with super strong suction cups.